A massive thank you must go out to The Baby-Making Chronicles for nominating The Odd Spot for this award! 1. You must link back the person who nominated you. 2. You must answer the 10 questions given to you by the nominee before you. 3. 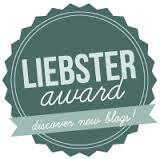 You must nominate 10 of your favorite blogs with less than 200 followers and notify them of their nomination. I started this blog after a year of self discovery and managing a child with severe food allergies. It was important for me to talk about the challenges of eating with imposed restrictions or personal health choices that aren’t mainstream. It can be very isolating and make you feel like the odd one out. One Thursday night I was in emergency with my daughter after an anaphylactic reaction and the next morning I started this blog! 2. How has blogging impacted your life? It has given me a place to share my passion for health & well-being. To bring together people who feel alone and hopefully provide a supportive spot where they feel free to vent their frustrations, express their ideas and share their knowledge. I am passionate about organic food, chemical free living and the appreciation of individuality! Sitting in emergency with my 2-year-old daughter and deciding it was time to change my direction in life! 5. Marooned on a deserted island, what three things would you want with you? Besides people I would choose a male & female chicken and a pregnant pig! Bacon & eggs! 6. What’s the most outrageous thing you have ever done? Getting electrocuted for fun at Tough Mudder! 7. What was the last thing you purchased over $100? A new pair of runners! But I did lay-by a beautiful dress today, does that count? 8. What’s the last stamp on your passport? 1. 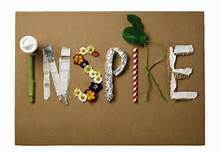 Who/what is your greatest inspiration in life? 2. If money was no object what would you be doing right now? 5. Do you/your children have any allergies? 6. Do you have any specific dietary requirements? 8. What is your day job? 9. What is one goal you want to achieve in the next 12 months? 10. Who is your biggest supporter?